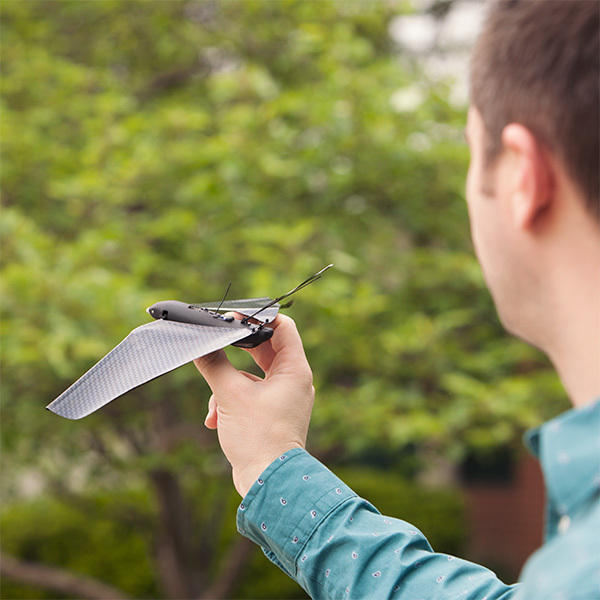 Are Bionic Birds The New Drones? By David Ponce on 05/18/16 • Leave a comment! 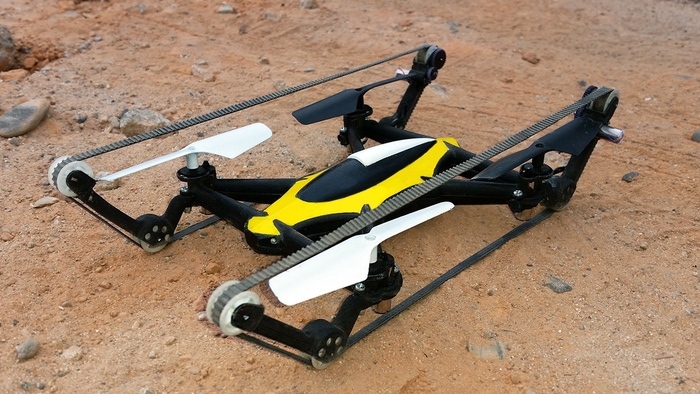 You’re looking at a remote controlled flying device that kind of looks like a bird, and flies like one too. You control it with your smartphone using Bluetooth 4.0, which gives you a range of about 100 yards. It’s completely not at all like a drone, so don’t expect stable flight, let alone recording any sort of video. It does, however, look like a lot of fun. More importantly is that despite having a small 8 minute flight time, a portable egg-shaped charging pack allows you to top it back up in only 12 minutes, and you can do that up to 10 times over before the charging pack itself needs juice. This is great because you can go off-grid with the Bionic Bird and get over one hour of flight time out of it. You should know that when in flight it really does act like a bird and as such it may attract some natural bird predators. Considering it’s a $149 toy, you’re going to want to keep an eye out for that, lest you see you purchase disappear in the claws of a confused hawk, or whatever. By David Ponce on 01/18/16 • Leave a comment! We talk a lot about drones on this site, and that’s mostly because people are pretty much in love with the things. So far, we’ve noticed there are two camps on the field: the toys, and the pro rigs. 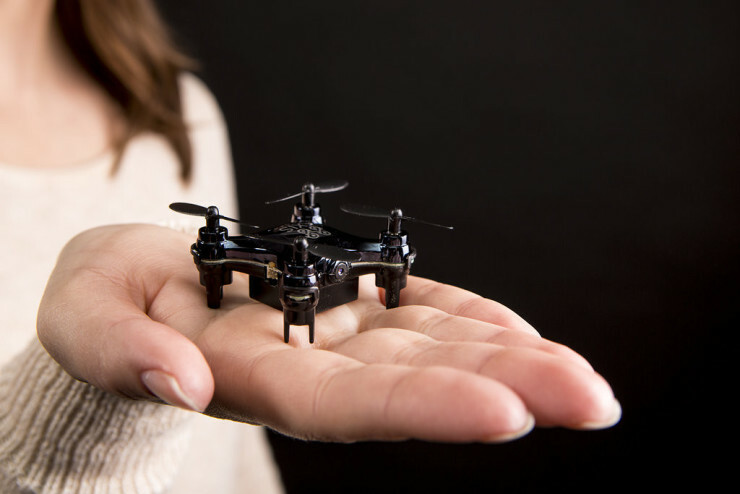 On the toy side of things, we’ve seen plenty of tiny quadcopter drones that fit in the palm of your hand, but the Axis Vidius is the first such drone that also packs a camera that streams its image to your smartphone. That’s right, you can see what your tiny drone see, live on your phone. Sure, it’s only 420p, but do you really care? We’re talking about a $75 toy here, where similar ones are only able to fly around a bit and do some flips, this one does all that plus stream its image to you! 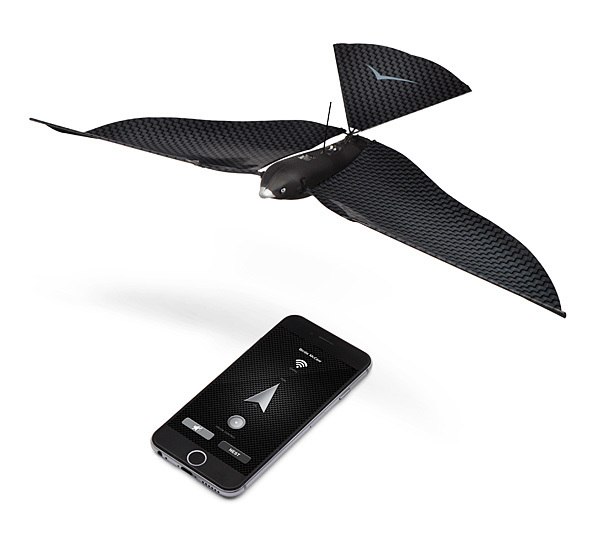 You can capture stills or videos, and it’ll fly up to 7 minutes at a time on a 20 minute charge. – Live First Person View Video Camera Puts You in The Pilots Seat! – Stream and Record Live Video & Still Images in 420p During Flight! – Pre-Programmed “Trick Mode” Algorithm Provides Amazing Flips and Rolls! 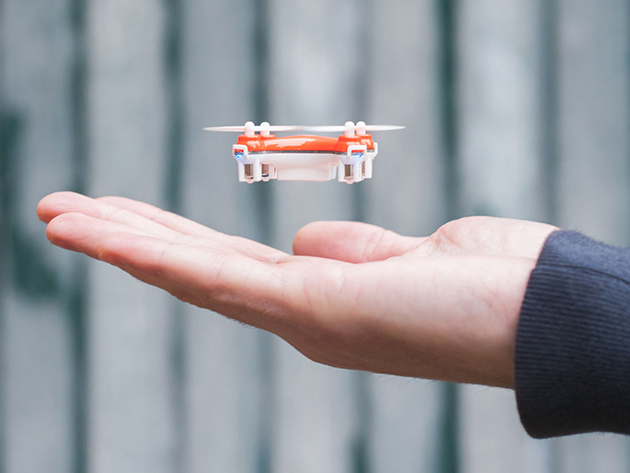 – Super small and lightweight, NO FAA Registration Required! Yeah, it’s a little late to the game now that the 2015 Holiday season is over; this would have made a killer gift a month ago. 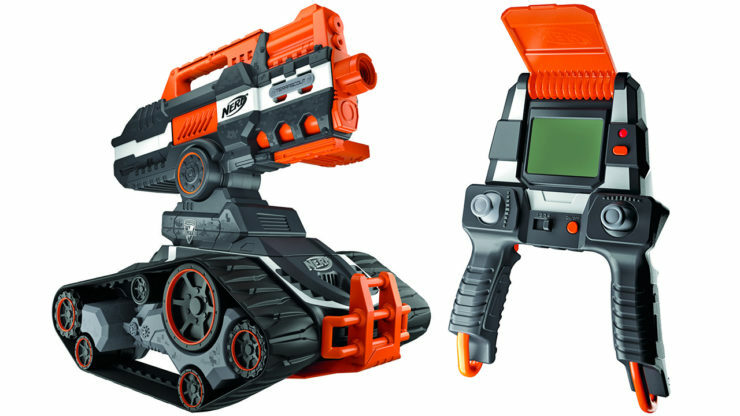 But still, it’s a fun toy to own, and at $75, it’s priced perfectly. It’ll ship after January 29th. Some people are pretty passionate about their hotdogs. 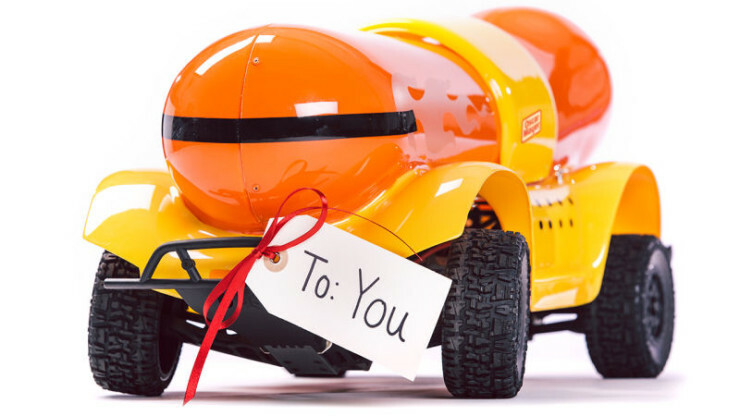 We’re fans of Oscar Mayer’s wieners as much as the next guy, we just don’t know that we’d want to buy a remote controlled Winermobile. We bet some people will, though. It’s a smaller version of the largish off-road RC toy they came out with last July, only you can actually buy this one. 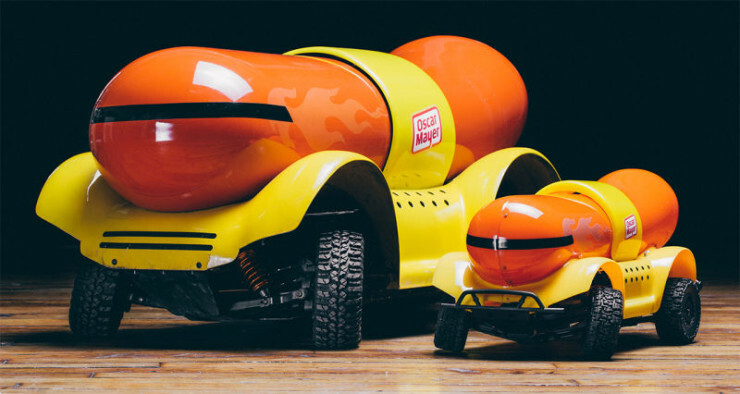 It’s $25 and can actually carry two hotdogs, so it’s a toy with a practical use beyond entertainment. Getting your hands on one will be hard though, since the company plans to sell them in batches, and you’ll have to follow their Twitter account to know when the next batch is up for purchase. Pretty clever, as far as a marketing ploy to get people to follow them is concerned. By David Ponce on 08/04/15 • Leave a comment! Man, they didn’t have toys this cool when I was a kid! 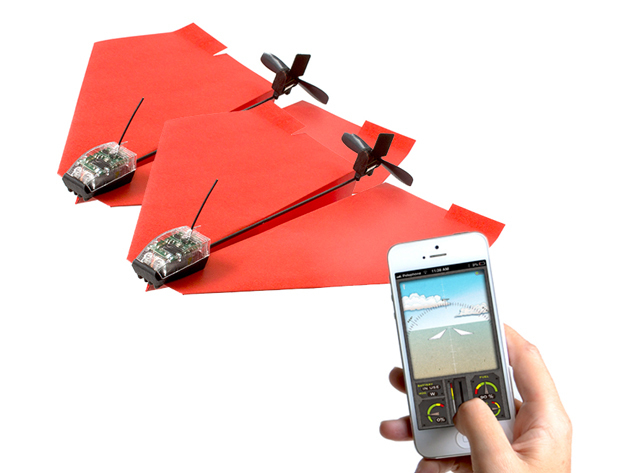 The PowerUp 3.0 Smartphone-Controlled Paper Airplane 2-Pack is a tiny remote controlled paper airplane that you fly with your smartphone. Get ready for less folding and more flying. This is a paper airplane like you’ve never flown before: crash-resistant, ultra-responsive to quick maneuvers, and controlled right from your smartphone or tablet. Looking for a great gift or just something to liven up your weekends? 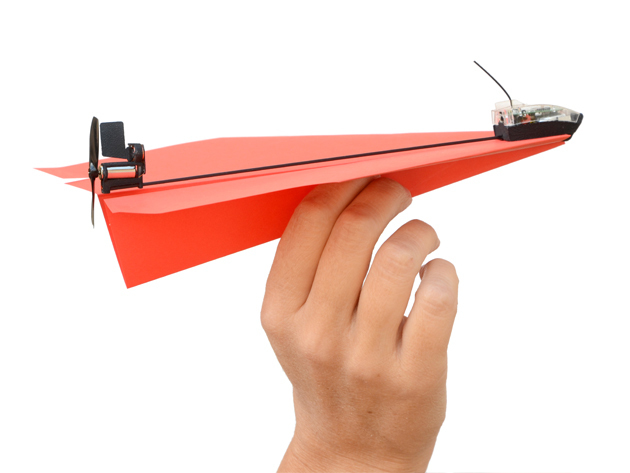 Look no further than this extremely flexible, and extremely fun paper aircraft. You’re of course looking at a paper airplane so you might think it’ll cost peanuts: it doesn’t. There’s a good amount of tech, after all. But instead of the normal $100, you’ll have to pay $79.99 after today’s rebate. Yes, that’s still a good chunk of change, but just think about how cool of a gift this would make for someone. And don’t forget that at this price, you’re getting two planes. 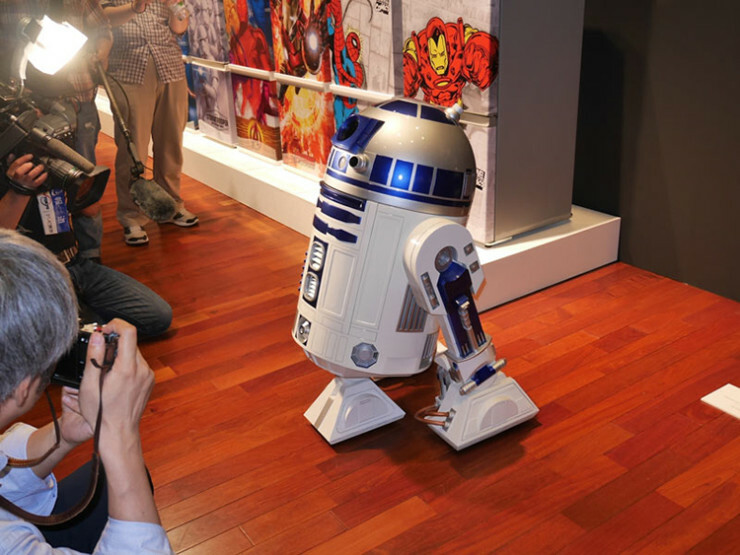 It’s one thing to have an R2-D2 fridge, like the one we wrote about back in 2008. It’s quite another to have one that’s capable of bringing its delicious contents to you at will. 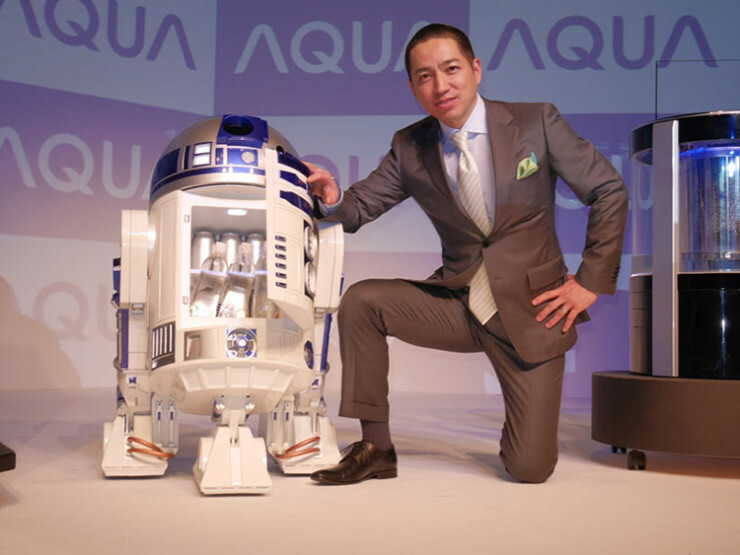 The R2-D2 mini fridge from Japan-based company Haier Asia’s AQUA brand is most probably the droid you’ve been looking for, as it’ll roll around wherever you want it to, while making all the appropriate sounds, and delivering its cargo wherever you are in your home. It looks a little slow, and we’re not sure how long the batteries last; we suspect it might have to be kept in a ‘home base’ of sorts while cooling your beer until you need it, since batteries alone wouldn’t cut it. And we don’t know how much it’ll cost either. All we know is it exists, at least in prototype stage, and Haier claims it’ll be available at some point in 2016. 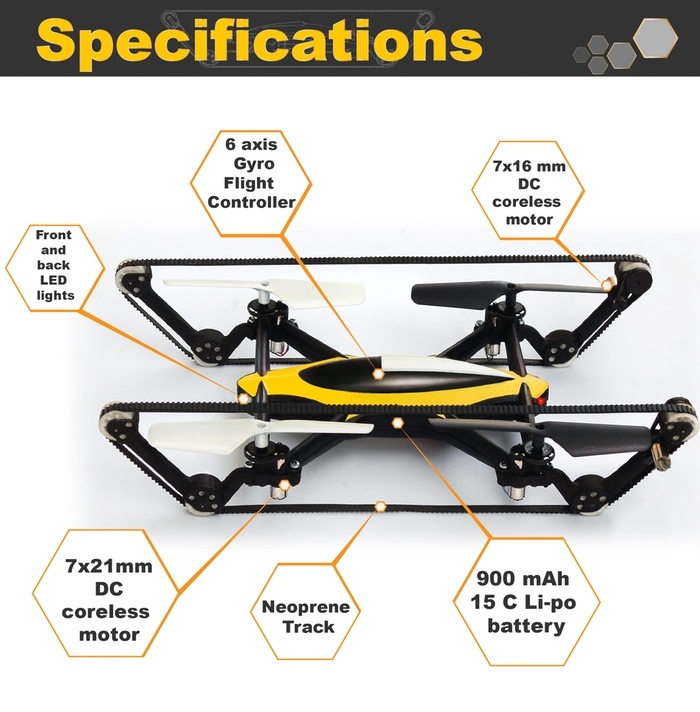 So now you’ve seen every type of quadcopter drone under the sun, from the tiny palm-sized ones to the large professional camera rigs, and all that’s left to do is wait for prices to drop and drop. Or… wait for new companies to cook up new and creative form factors, like the B-Unstoppable pictured above. See, it’s not just a quadcopter drone, it’s also a remote controlled tank! That’s right, when it’s on the ground you can drive the vehicle over rough terrain, and simply take off if it comes across anything too large to drive over. 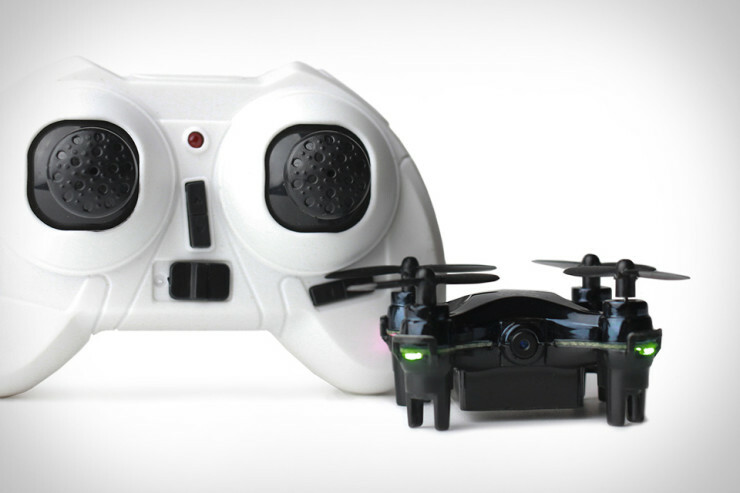 The basic version doesn’t have a camera, but it’s possible to outfit the B-Unstoppable with a 720p camera that shoots at 30fps, as well as a wireless FPV (first person view) system that beams back images as you fly. 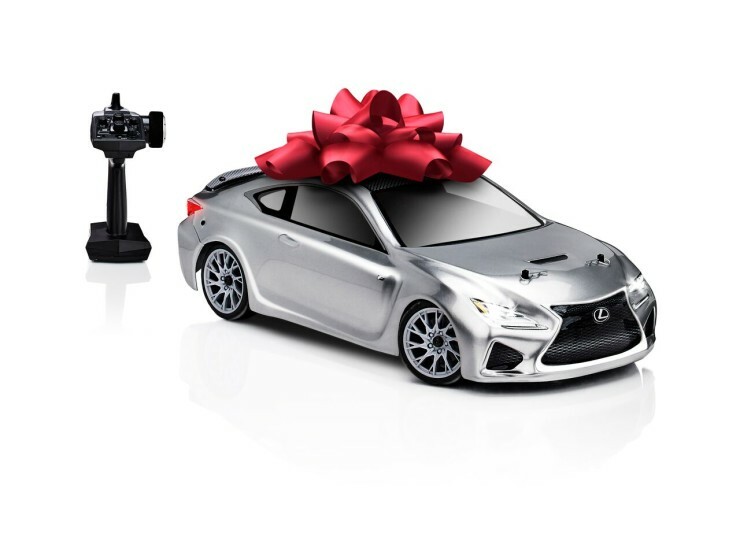 Getting in on the action will cost you a £55 (about $85USD) pledge for the basic system, while the price goes up to £99 (about $152USD) for the all-inclusive FPV version. The drone rage continues unabated, and prices keep dropping. 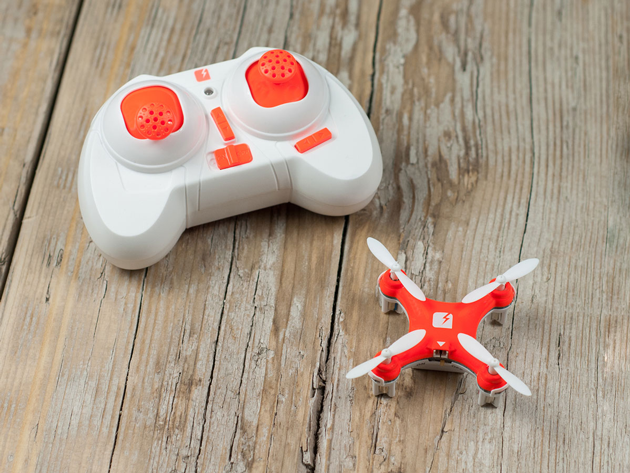 Think about the fact that you’re looking at an incredibly small remote controlled quadcopter drone that you’ll have to pay only $35 to own. And then read about all the features you get in a $35 package! When I was a kid, I would have wanted to sell a kidney to own something like this. Today you can have it with one week’s Starbucks budget. We live in exciting times.